Complete, resounding faith in anything is a rare thing to find these days, especially in the anime industry. 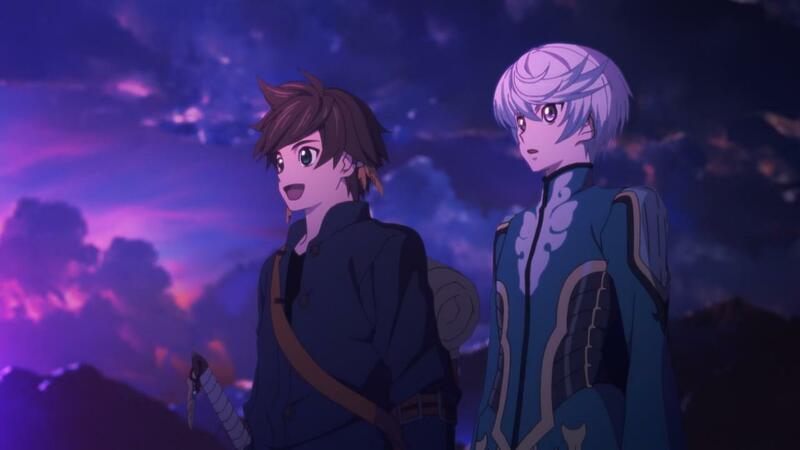 Yet, against all odds, Tales of Zestiria The X, its director and the team at Ufotable continue to adapt everything straight from the source with a deep respect and care, one that puts most other adaptations to shame. If I were to give one specific accolade to this series, even this early in the game, it would be for the fact that it really does get behind its source material, every inch of it. 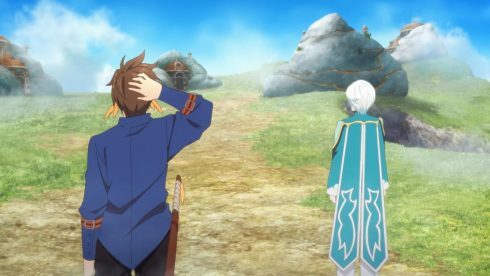 Tales of Zestiria the X isn’t interested in being something that it isn’t or can’t be. Its not trying to make its “source material” better in an arrogant way. There’s no feeling of “I know better” from this adaptation. Its not replacing parts that may be deemed boring, or speeding up things in fear of losing its viewers. 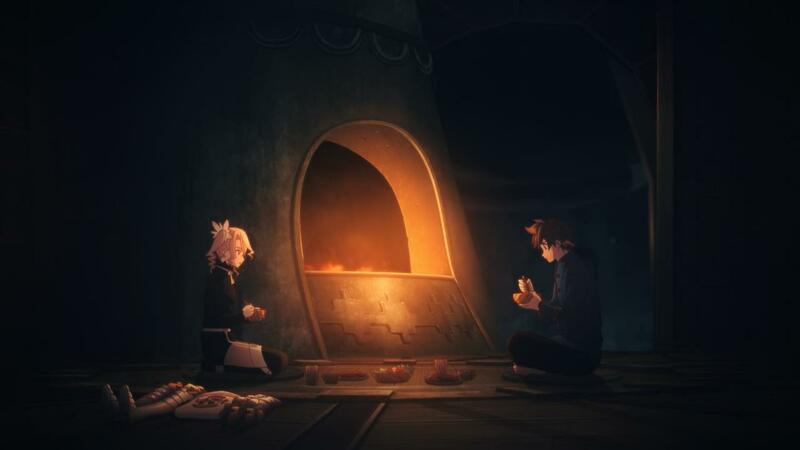 It really is just taking its time, and reveling in every moment of the story its telling. And the reason I think that’s so remarkable, is because I really do believe that its not easy to do something like that, especially at the point where we’re at now. As someone who’s familiar with the source material and who knows what’s coming, even I want to rush on over to the quote unquote “good” stuff. 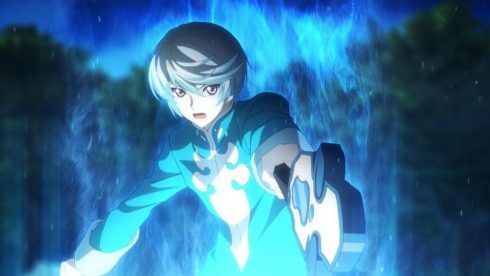 I want anime only viewers to get to the point where the story really kicks off, and where it becomes really difficult to actually check out. The point that we’re at now isn’t quite there yet though, as it really is the start of the story. As rabid consumers of fiction, I think many people today (including myself) are slightly spoiled. Yeah… I just said that, but err… What I mean by that particularly inflammatory statement, is that modern fiction has kind of made it really easy for people to get involved with a story. That’s particularly the case, I feel, in Anime series. 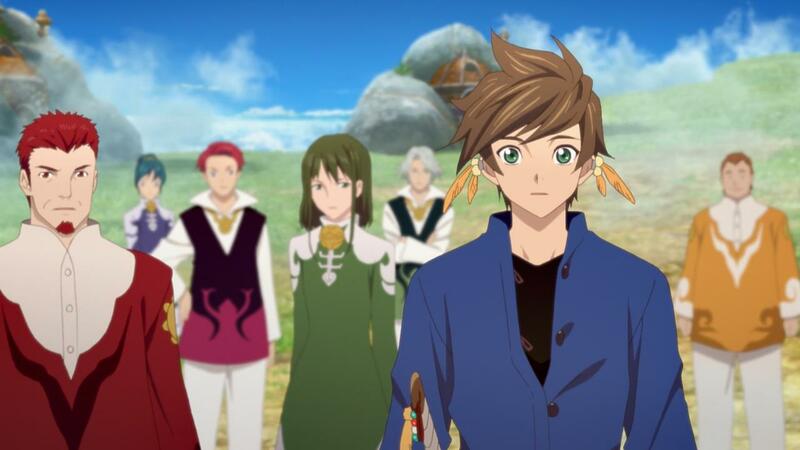 Most anime series, games and stories that we enjoy these days almost always start in media-es-res. 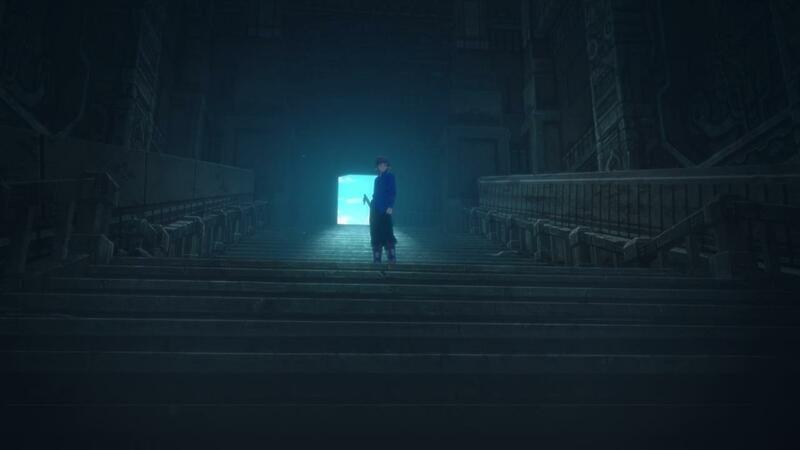 That fabled technique, which basically starts the story right in the middle, during a perceived “attention grabbing point”, has I think really hurt the slow and steady buildup that many good stories need. Some of the best stories I’ve read in all of fiction, have actually had slow starts, and slowly built themselves up. 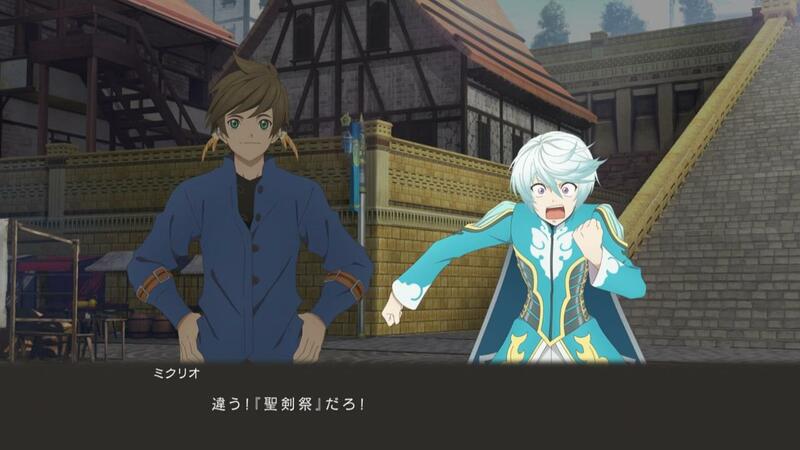 Tales of Zestiria is very much a story like that. Its slow, methodical and it really does take a bit of time to get going. 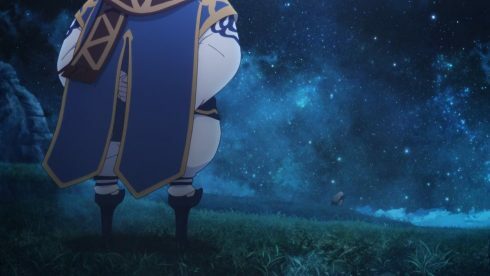 I’m sure that the slowness, the almost snail like pace of this story, must be really off putting for some viewers, and it may even be pushing them away from this series. While that’s definitely unfortunate, I can’t help but respect the people behind this series for truly adapting the game’s story, and not messing with it too much. To embrace a source material’s strengths and weaknesses, is something very few adaptations these days have the bravery to pull off. Alisha’s little stay in the village of Izuchi (Not Elysium Funi…) may seem like an inconsequential moment, but its exceedingly important. 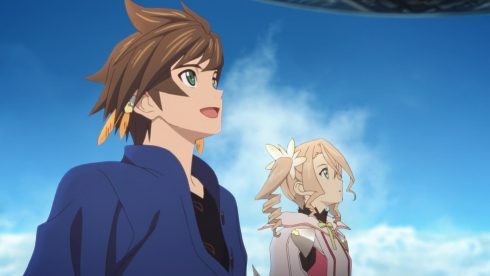 This little event, where Sorey and Alicia end spending a day or two together, really changes Sorey’s outlook on life. 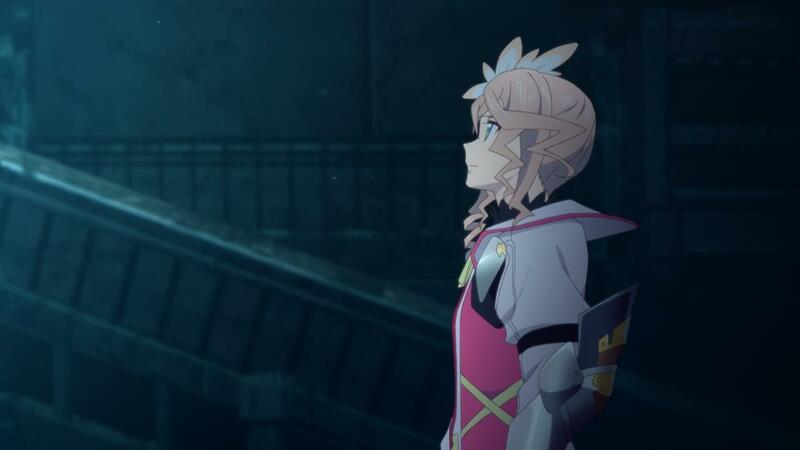 Its something that becomes evident later, and even gets glossed over a bit in the game itself at this point, but it really is the true beginning of everything. Sorey’s meeting, and exchange with Alishia is important, and while it does get its due in the game, what’s truly remarkable about this episode, is how it feels like it lingers on this particular plot point for a bit longer than the game itself. 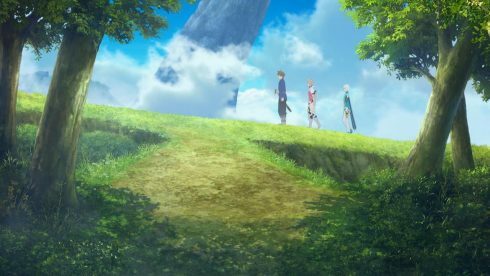 I’m sure if you were to time-box both the game and the anime, then the game may actually win out in terms of sheer length. The difference though, is that the anime actually takes out all the random battles and dungeon exploration, and fills that void with scenes and moments that are only eluded to in the game. 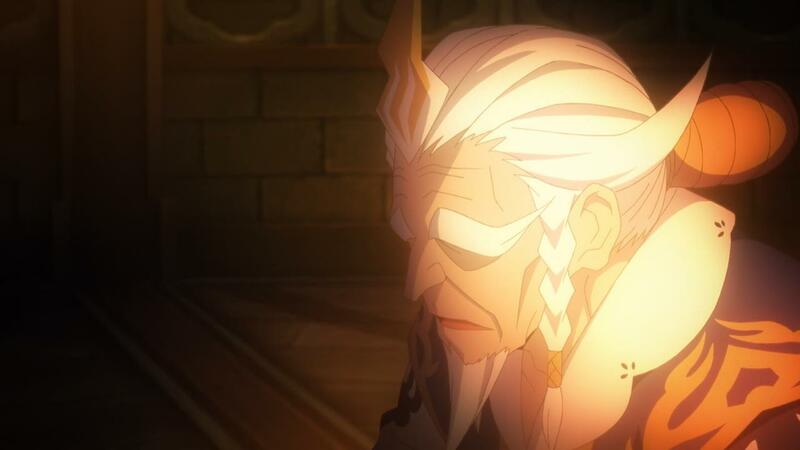 Gramps slowly coming to like Alishia and changing his “we don’t bother with the outside world” view, is something that can definitely be inferred in the game, but is beautifully laid out in the open, in this week’s anime episode. Alishia’s desperation and PTSD from the horrors she experienced earlier, provide a lot more context into her longer stay as well. 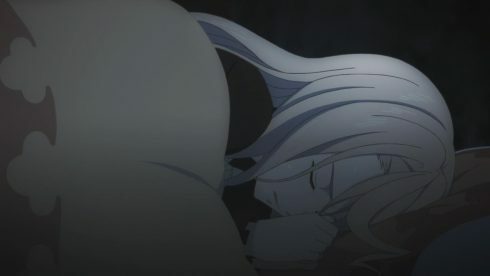 It makes sense that Alishia ends up staying at the village for a few days in this episode, because she actually needs time to heal and search for the Seraphim that she believes are her last hope. And beyond just Izuchi itself, a big part of this whole event is Alishia sizing up Sorey himself, and understanding who he is. These extra additions make everything flow a lot better, and then make the rather predictable moment of The Fox Man (he’s not been named yet, so…) attacking the village all the more intense. 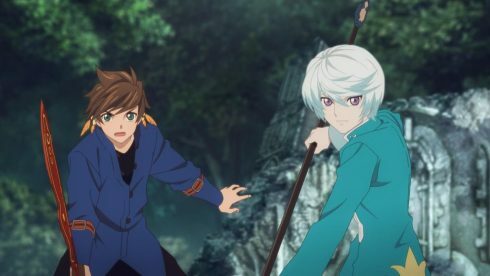 Its in Sorey and Mikleo’s first major battle with the Fox Man, that ufotable also gets to flex its animation muscle again. The fight itself is… Simply put, jaw dropping. 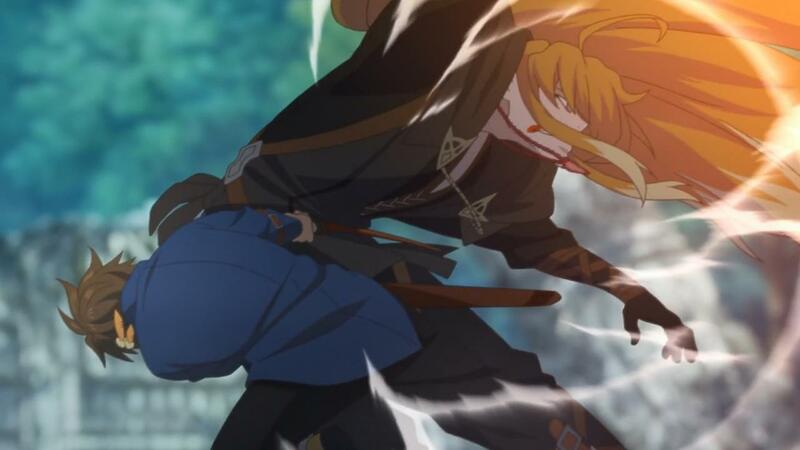 There’s magic attacks, sword clashes, throwing and sliding, and it all just culminates into that final moment where Sorey lands that epic smashing blow with his sword to Old Kitsune Fox Man. I remember being really invested in the battle with Fox Man in the game, but a big part of that immersion was most definitely the act of playing a video game. Here, in the episode, I felt like I was just as immersed and excited as I was the first time, and a lot of that came from just how darn visually stunning the whole fight scene was. 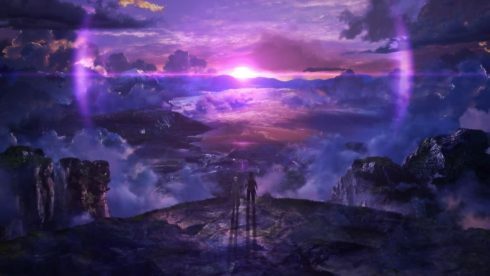 While I don’t think a story like Tales of Zestiria necessarily needs the jaw dropping animation that ufotable’s capable of, it certainly is making the experience a lot grander. So… I’ve kind of spoken at length about how well done this episode is, and how it does justice to the game, and expands upon its source material, but that’s just reaffirming something that this show has been doing since day one. 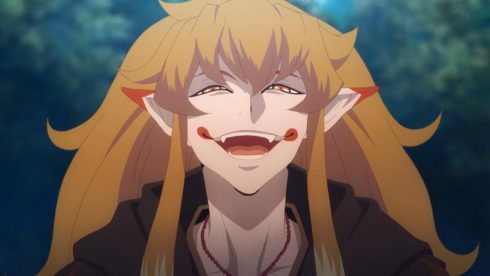 Lets talk about what happened in the episode itself, for a moment. This week’s episode was basically the last resting point before the big adventure. 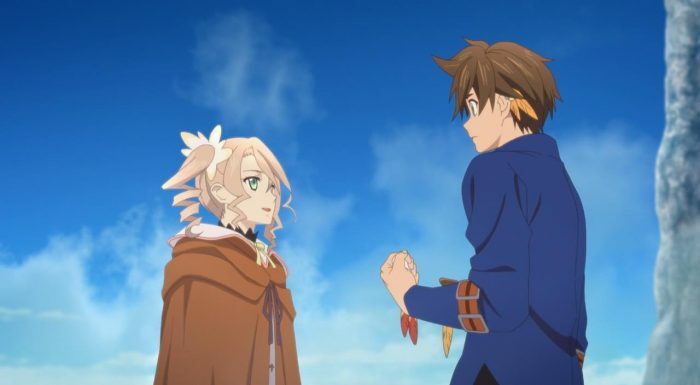 Its Sorey’s last chance to contemplate about his life and his future, and its Alishia’s one moment to rest up and breathe before she jumps into her next round of challenges. For Mikeleo, its about being a superb friend to Sorey, and supporting him as he slowly comes to make his big decision – i.e To leave for the outside world. This episode is an exploration in hesitation, in resisting change, but inevitably moving forward and facing the unknown. 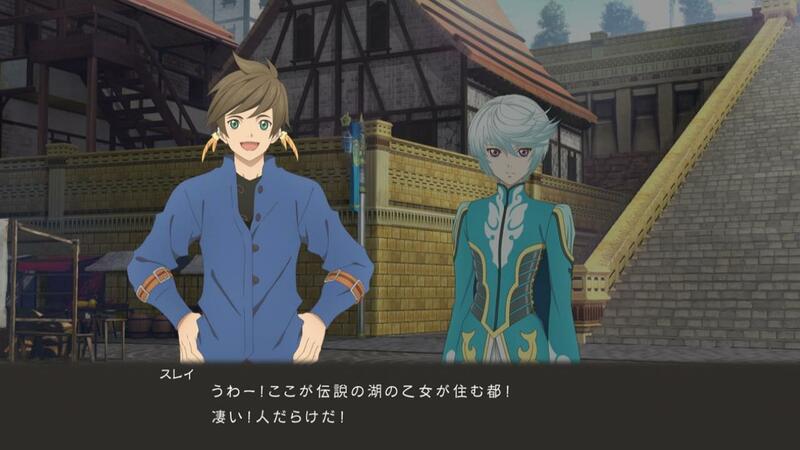 Its about everyone in Sorey’s life, slowly nudging him forward but never forcing their opinions or wants on him. That, is a really important little wrinkle in the story. 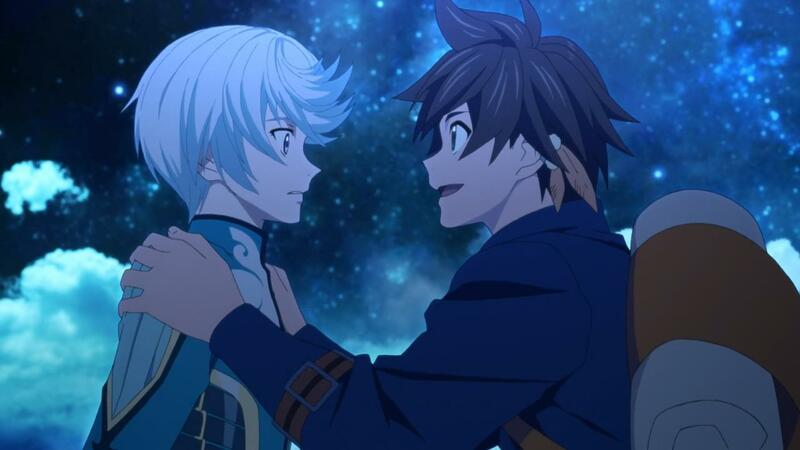 No one forces Sorey to stay, or leave, no one pushes any responsibility on him, or puts any restrictions on him. There’s an air of respect, and a sense of boundaries that nearly everyone displays as events unfold in this week’s episode. 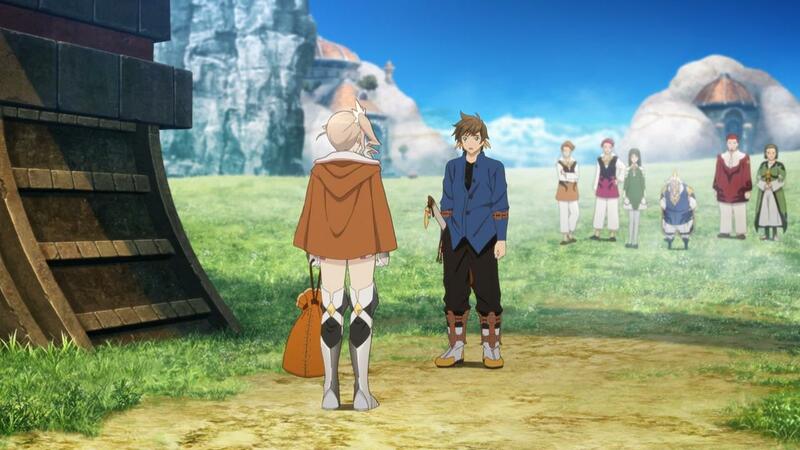 Alishia doesn’t try and beg Sorey to become the Shepherd that she clearly believes him to be, she only suggests it. Gramps, who’s worried about his young boy slowing coming into his own, voices his concerns, but never becomes a barrier to his own child’s growth and pursuit of happiness. Its such a play on the classic hero’s journey, where the hero resists the call to action, and eventually gets dragged into the fray against his will anyway. 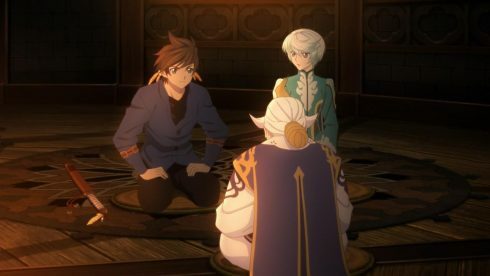 Sorey’s definitely going down the path of the Hero’s Journey, but what’s so remarkable about his version of it, even this early on, is how he’s choosing to go down that path himself. That is, I think, what really separates Japanese storytelling from Western storytelling. There’s a sense of optimism, of niceness and of care, that I think even some of the best stories on this side of the world don’t have. The fact that Tales of Zestiria the X, embodies the very idea of free will, of choice, and yet has a story and a world that’s based primary on religious iconography, is just refreshing to see. Religion gets based waay too often in popular media, and its nice to see a different take and perspective on that particular topic. This is a show where two of the main characters are true believers ina religion and a story that’s been passed down to them. Its something exceedingly rare, in media, in general. 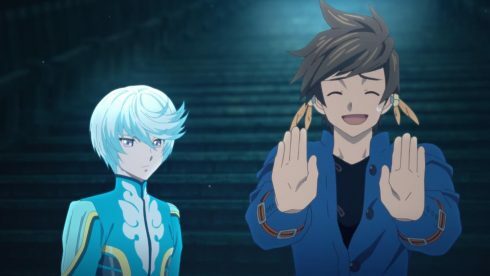 And before I finish, I do want to say that it may seem like I’m apologizing for Tales of Zestiria the X, and that may be true. I can see the slowness of the story, the lack of excitement in events, leading people to check out of this story and this show, prematurely. I really don’t want that. As someone who loved every moment of the game, and who can appreciate the slower moments of this adaptation, I think its equally important to champion this series when its at its most vulnerable. 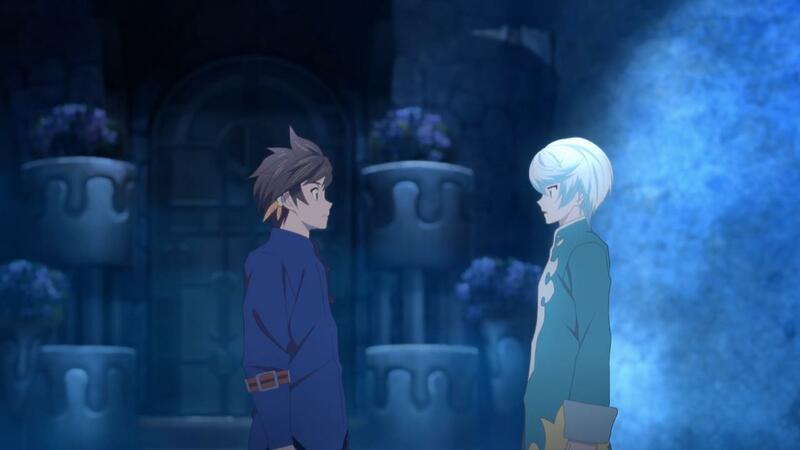 Tales of Zestiria eventually becomes everything that a seeker of adventure and thrill could ever want, but it definitely starts from something small first. 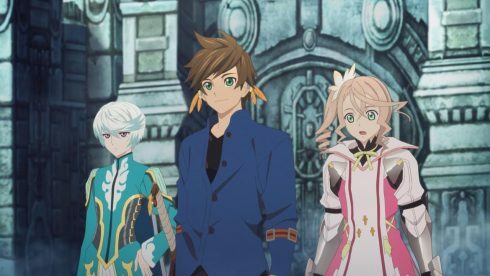 In a season where there’s so many hard hitters and impressive shows to watch, I can see Tales of Zestiria the X being lost in the hustle and bustle of everything else. 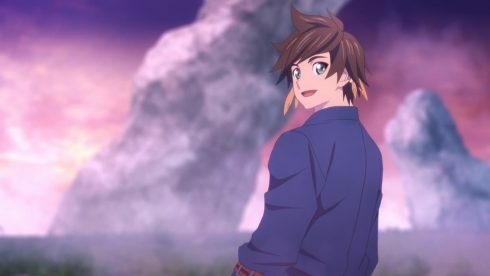 Yet, I really do want Tales of Zestiria the X to succeed, I want it to garner new fans, and more than anything, I want ufotable’s complete and utter faith in the source material to be rewarded. As someone who’s seen many game adaptations do the exact opposite, I can’t help but really treasure this rarity that we see before us today. I am also curious, more so than anything. Do fans of the game love this just as much as I do? 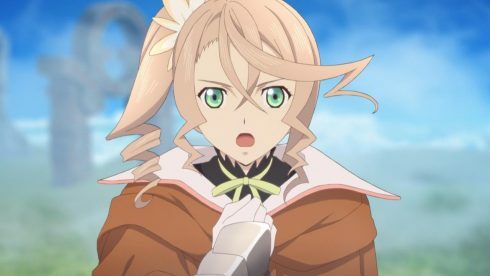 Am I overreacting and over worrying when I keep trying to defend the story’s slow start? Its hard for me to really tell. I’m so close to the source material, and I’m getting so much mileage out of an adaptation to a story that I already like, that its hard not to feel like this show was really just made for me. 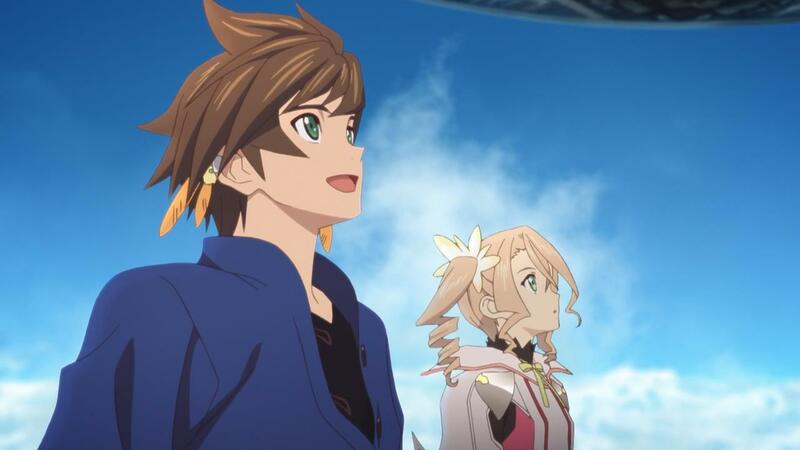 Its also hard not to want others to like what you love, and Tales of Zestiria the X, even with just its first three episodes, is really something to be loved.